4.2. The Executive will be eligible to receive a minimum of 20% and up to 60% of the Base Salary annually, as a performance bonus (the "Bonus"), less applicable tax withholding required by law, based on the achievement of corporate objectives and personal objectives as mutually agreed by the Company and the Executive. Base salary through the date of termination. A lump sum amount equal to 12 months of base salary. A pro-rata incentive award for the year in which termination occurred. Any unpaid bonuses pertaining to prior calendar years, payable in a lump sum. An annual bonus award for a period of 12 months following the date of termination, payable in lump sum. The plaintiff's employment was terminated on March 9, 2016. He had not received any annual bonus award for 2014 or 2015 (since Fulcrum had acquired the company), despite Kenny having raised this with the company prior to his dismissal. Weatherhaven paid out the 12 months' base salary owed under the termination provision but no bonus amount. The company argued that clause 4.2 did not entitle the plaintiff to a bonus unless personal and/or corporate objectives had been met, and argued that "eligibility" was not the same as an "entitlement." The defendant submitted that because Weatherhaven had failed to meet its corporate objectives in 2014, 2015 and 2016, no bonus amounts were owed to the plaintiff. The plaintiff claimed he had a clear entitlement and that the term "eligibility" referred only to the amount of the bonus (within the 20% to 60% range), and not the requirement to pay a bonus. The Court concluded that Kenny had a clear entitlement to a bonus over the 12-month contractual notice period based on the language of the termination provision. With respect to past bonuses for 2014 and 2015, the Court concluded that when read on its own, clause 4.2 was capable of either the company's or the plaintiff's interpretation (due to a contradiction in the term "eligible" and the provision for a "minimum" bonus payment.) However, the Court preferred the plaintiff's interpretation, which accorded with commercial efficacy and good sense, and was reasonable and fair when considering the contractual language as a whole. The Court concluded that "payment of the annual bonus under clause 4.2 was not discretionary, but rather an integral part of the plaintiff's compensation; the defendant's only discretion was in determining the amount of the bonus within the 20% and 60% range." This case is a reminder that employers must use clear language if their intent is to implement a discretionary bonus plan. Clear minimum bonus entitlements may be interpreted as fixed obligations absent express language permitting the employer to determine whether or not to pay a bonus. 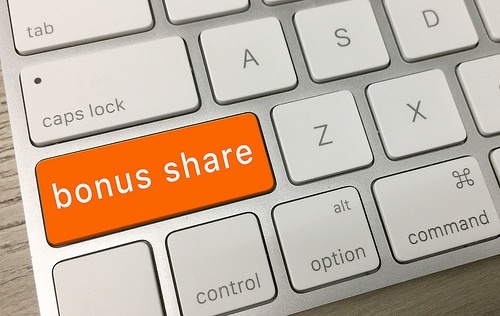 Employers would be wise to review their bonus plans in light of this decision and other recent jurisprudence in which courts have scrutinized bonus language. Jennifer M. Fantini is a partner in the Vancouver office of Borden Ladner Gervais LLP, practising in the areas of labour relations and employment law. Jennifer advises public and private sector employers with respect to employee discipline and termination, wrongful dismissal, employment policies and contracts, employment standards, and human rights issues.